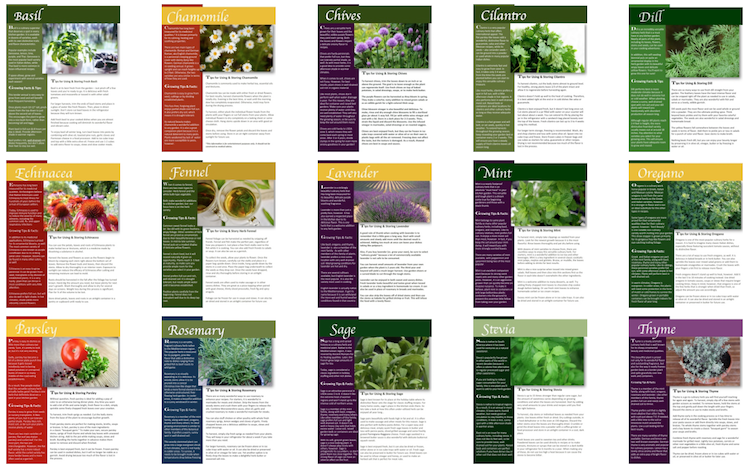 Save Money by Growing & Preserving Your Own Delicious Culinary Herbs! Culinary herbs are a fantastic way to add tons of flavor to your recipes without a lot of extra calories. But, they can be expensive to buy in the grocery store. 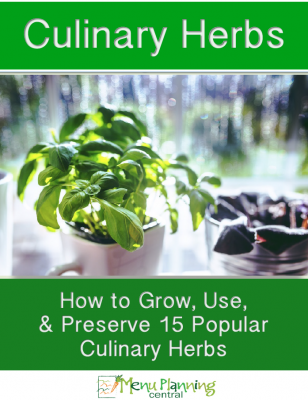 These 15 tip sheets will give help you grow, use, and preserve 15 of the most popular culinary herbs in your own backyard, patio, or balcony for a fraction of what you’d spend to buy them at the store. *You can get a FREE copy of this guide if you sign up for our new Clean Eating menu plans before May 10, 2017!! !